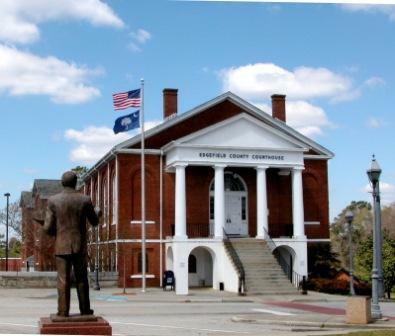 Edgefield County Council held a public budget workshop Monday, March 18 at the County Council Chambers. The workshop, which at times became quite contentious with heated and spirited disagreements between council members, lasted over three hours and saw the proposal of a tax increase. The tax increase, in the form of a General Obligation (GO) Bond, was proposed by Council Chairman Scott Cooper who said of the proposal, “I am not one who likes to raise taxes,” but went on to say that this increase was one he thought constituents will understand. The recommendation was for a GO Bond in the amount of $475,000 for a period of three years. The annual cost of the bond would be about $170,000 over the three years which would translate to approximately $15 more a year for tax payers of which Cooper stated, “I don’t think they’d [constituents] be opposed to paying that.” The bond is being recommended to cover the cost of the following: replacement of County computers, replacement/upgrade of 10 Sheriff’s Office computers, updating technology in Council Chambers, replacing the phone system at the County jail, purchasing jail management software that is described as being at the end of its life and a records management system for the jail, and purchasing a new county-wide phone system. Just when and where Councilman Campbell’s suggestions for find the money and further discussion of the budget would be done, led to yet another testy debate when Administrator Paradise suggested holding another budget workshop before Council’s first reading of the budget which is scheduled for to be held at their next monthly meeting. Councilman Campbell countered that he felt the issue could be dealt with at the budget’s first reading. Chairman Cooper weighed in stating that he would like to do a second work session so that the public meeting would be quicker. “I don’t want to do this in a public session,” Cooper said adding that he wanted Council to be unified before going before the public. To this, Councilman Biggs replied that Cooper should not have a problem presenting this in a public session because Cooper stated that he believes the public will support the measure. Finally, Campbell stated that he was “going to give you some reality” and pointed out that scheduling another work session was basically not possible due to time restraints. In the end, no additional work session was scheduled. A tax increase and another work session were not the only items taken up during the lengthy meeting. Council was advised by Administrator Paradise that it was being recommended that all full-time County employees receive a $1,000/year raise which would amount to approximately a 2% pay raise. He informed Council that the proposed budget includes funding for the following: a consultant to assist with drafting new Land Use Development Regulations to correspond with the Comprehensive Land Use and Transportation Plan, a new ambulance for EMS, a Space Needs Study for a new law enforcement center, re-roofing the library building, and $60,000 to Piedmont Technical College. Paradise stated that no new vehicles were budgeted but that 5 new vehicles would be purchased for the Sheriff’s Office utilizing an existing bond. Regarding the Sheriff’s Office budget, which also received discussion, it was noted that a 5% raise for employees below the rank of lieutenant was requested as was an increase in starting pay for uncertified and certified deputies (to $29,485 and $30,698 respectively), the creation of a Community Relations Sergeant, and an adjustment of the lieutenants’ pay. All except the adjustment to lieutenants’ pay was denied. One fund that has been consistently underfunded is the Recreation Fund which Council was informed would again be underfunded. It was explained that the County has seen a decrease in revenue generated by sports participation over the last five years which has resulted in revenue from these programs being cut in half. The greatest impact to the underfunding, however, was said to be due to the decrease in budget year 2009-2010 of the mils received by this fund. At that time, the mils were decreased from 3.08 to 1.5. Since that time, this fund has never been fully funded, and money from the General Fund has been used to cover the shortfall. In the current budget, it is being recommended that $32,794 be taken from the General Fund and placed in the Recreation Fund. Council will again visit the budget at their April 2 meeting in which first reading will be given. A public hearing and two more readings will be held before the budget is officially approved. Citizens may offer their input at any of the Council meetings, however, during the public speaking portion of the meeting. Speakers are allotted 3 minutes to offer their opinions in regard to agenda items. The April 2 meeting will be, as usual, at 6:00 in the County Council Chambers.